The one day event saw the participation of close to 1000 students and staff from INTI International University, one its largest volunteer projects to date, working together with representatives from iM4U, the Negeri Sembilan Youth Council and the Dynamic Youth Council (Western Division) to clean and beautify public spaces surrounding Nilai in Negeri Sembilan. 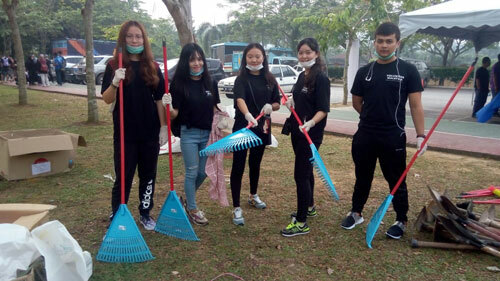 Students and volunteers divided worked across three locations, namely the Ulu Bendul Forest Reserve – a national landmark in Negeri Sembilan, Taman Chempaka – one of the largest recreational parks in Nilai, and the Semarak Residential Area. Among the efforts carried out at these locations were activities to clear up dirt and debris, painting and touch up of park benches and signage, unclogging of drains, as well as tree planting activities. The event was also graced by Dato’ Haji Ahmad Fadzil, the Director of Forestry for Negeri Sembilan at the Ulu Bendul Forest Reserve and YB Datuk Hasim Rusdi, Negeri Sembilan Exco for Agriculture and Basic Industry, at Taman Chempaka. In addition to the local students present, the project also saw a number of INTI’s international students contributing to the project. Close to 50 students from China, Africa and the Middle East lent a hand in supporting the various activities and locations. 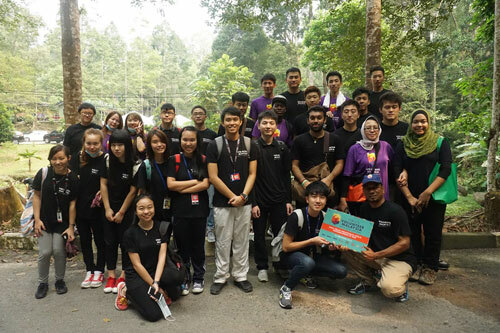 “Our international students’ participation gave them an intimate insight into one of Malaysia’s natural landmarks, and its culture of “gotong-royong” – working together to beautify and improve shared spaces. It was also encouraging to watch both local and international groups working together for the benefit of other communities.” Professor Rahmah shared further. Working with iM4U on the Volunteer Malaysia project provided INTI’s students an avenue to learn a little more about the importance of the environment, the value of working together to conserve it, as well as the significant role they play in supporting social responsibility efforts. Through this collaboration, INTI was able to balance the knowledge and skills of its classroom education with the qualities and social awareness necessary to preparing students for the vital role they play in the future.